During those lazy summer afternoons in suburban Chicago during the 1960’s when our gang of friends had settled under the Dutch Elm Tree in our front yard we’d frequently play a question and answer game that eventually when we grew into our early teens became “truth or dare”. But in those earlier times when really knowing your best friend meant the world to you, the questions were fairly tame by today’s standards. 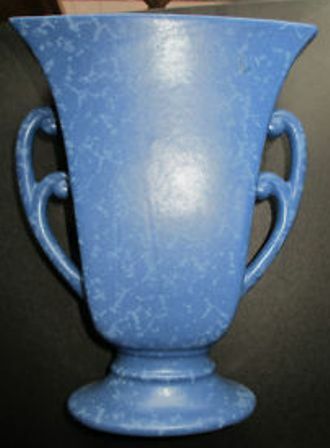 The object of the game was to see who knew who best and by winning you could claim the title of “Best Friends” until the next round of the game was played in a few days or sometimes in a week or two. One of the questions that was frequently asked was, “What is my favorite color?” As any one of the players that had visited my bedroom could tell you, the answer was blue; blue walls, blue bedspread, blue curtains, blue throw rug and yes, even blue pajamas. It should come as no surprise to you, my dear readers, that if you were to ask me today, “What is your favorite color?”, the answer would be….wait for it…can you guess….why yes, it is blue. 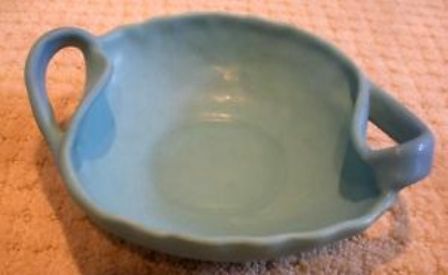 And again it should come as no shock to you then that in my personal collection of pottery that color is very well represented indeed. 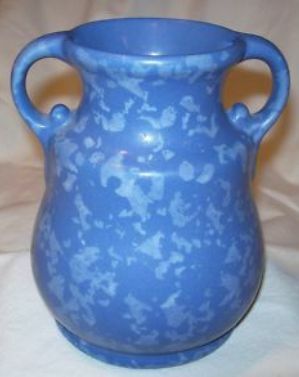 Blue colored glazes are my personal favorite and when you visit Billy Blue Eye this Sunday, February 19th at the Long Beach Antique Market you will find a fine collection of blue ceramics available from many favorite pottery companies including Van Briggle, Royal Haeger, Monmouth Western and of course Red Wing which under the Rum Rill pottery name offered many fine vases in the Dutch Blue Stipple Glaze some of which are pictured here.